With all the fun summer has to offer, I must admit, that I haven’t spent much time in my kitchen these days. I’ve spent more time dining out than dining in the last few weeks. I love dining al fresco. 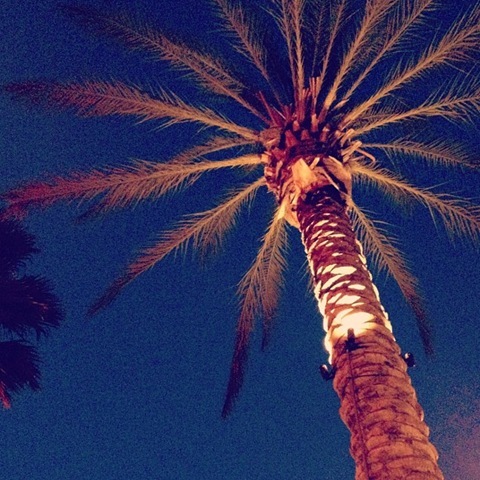 I love feeling the summer breeze and dining underneath palm trees. 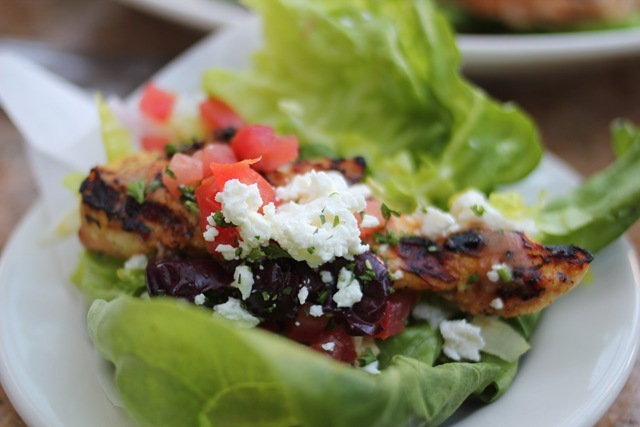 I also love that a lot of restaurants now are offering more healthy options on their menu. I love to indulge for dessert, so I have to balance it out by choosing something healthy for dinner. I recently met up with a friend for dinner at Cheesecake Factory and was happy to find her set-up with table outside. Even better, she already had mojitos on our table! We found out that Cheesecake Factory is offering a new menu (well, new to us), it was their SkinnyLicious Menu. Tomatoes, Feta Cheese, Red Onion, Kalamata Olives and Tzatziki. With all these ingredients in one plate, good food will come out from it. It did. We both enjoyed the dishes we picked and found them not lacking any flavors at all. I love all the fresh ingredients used. The crisp vegetables, the moist chicken and the great flavors made our dinner great. 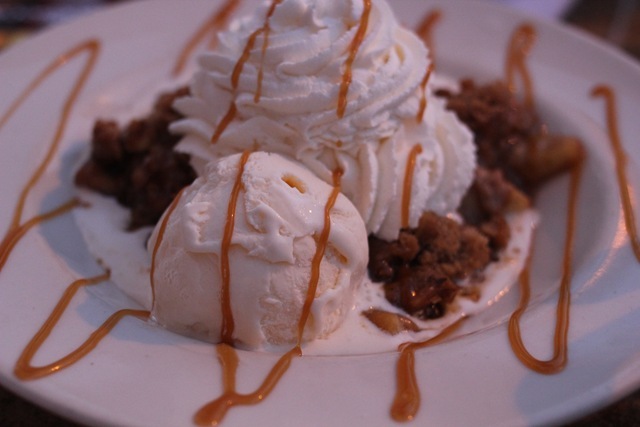 It wouldn’t be girls night out without drinks and desserts. 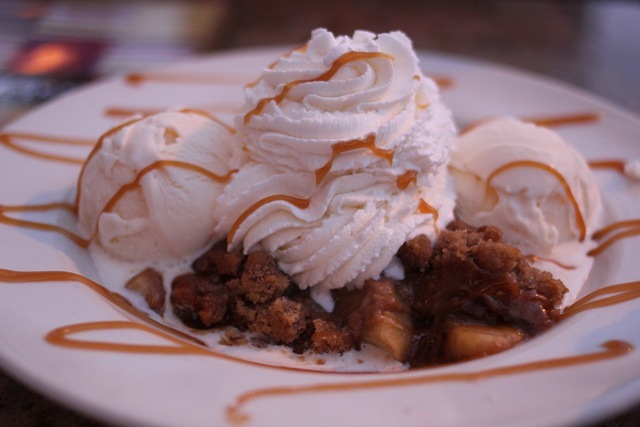 As the sun was setting, we enjoyed a big plate of warm apple crisp. Sadly our eyes were bigger than our stomach and we only finished half of it. I ate all the apples and left the melted ice cream on the plate. 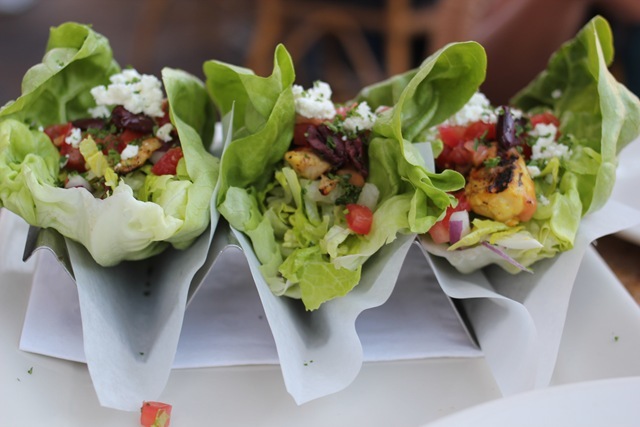 I love the Skinnylicious menu at the Cheesecake Factory! I really wish more restaurants did stuff like that (or at least told you the calorie counts of the regular menu items). I tried out the skinnylicious hamburger last time I went and it was awesome! I can’t wait to go back and have it again. 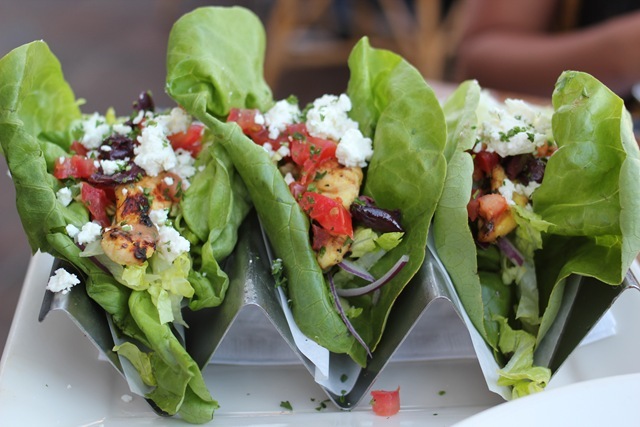 Those lettuce wraps look really good too, though. Those entrees sounds really good! I’ve always wanted to try the skinny menu at The Cheesecake Factory. It sure would help when you tack a slice of cheesecake onto the end of your dinner! Thanks for sharing! 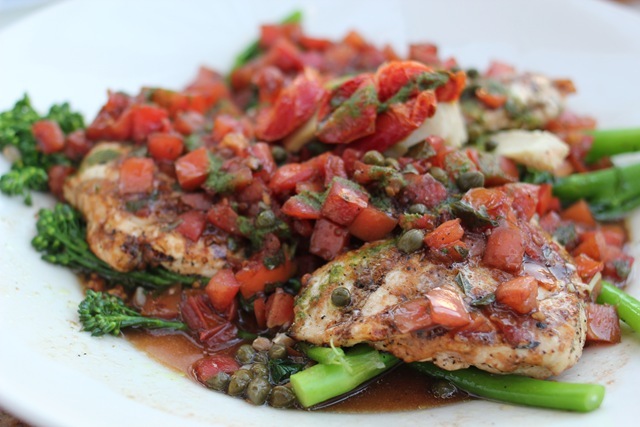 How can I get the Tuscan Chicken recipe from you? I want to try to cook it for the fellas at my Fire Station.